* The following article is generated out of concern for the absence of pastors and Christian laypeople in the democratic process. At a time our Constitutional liberties are under assault by the progressive, militant left, professing Christians are MIA. Last Wednesday evening, May 15, 2017, my wife and I spoke before the Florida Constitution Revision Commission, a committee that is formed every 20 years and tasked with hearing the voice of Florida citizens concerning revisions to the Florida Constitution. The progressive left dominated the meeting in their attendance and agenda, while the presence of conservative voices was pathetically minuscule. Deafening silence, detachment, distance, disengagement, disorganization and moral desensitization are but a few words that come to mind when I ponder how far the average American stands from the political arena. There is an even greater lack of participation in our democracy among those who profess to be Christians . I have attended school board meetings, city and county commissioner meetings, and political party meetings for more than a decade, and can attest that few pastors or professing Christians in Tampa Bay engage in public forums to express opinions, concerns or outrage over laws, ordinances and public policies that not only assail biblical morality and freedoms, but left unchallenged are tools to advance the erosion of our families, communities, state and nation. Those of us who attend and participate in the democratic process have had our eyes opened to the organized forces of liberal socialists whose ideas and politics are antithetical to America’s heritage. Many who practice liberal politics are strongly adversarial toward traditional marriage, family, morality and decency. Their efforts are often demonstrated in forms of mob violence, attacks on free speech on college campuses, and shutting down conservative ideas in the public forum. School boards, city and county commissioner meetings, along with political rallies have become the staging ground for militant liberals. The enemies of Biblical morality and conservatism have taken control of our schools and institutions of higher learning, eroding the foundations of our homes and culture. While the moral fabric of our society hangs tattered and torn, the majority of pastors and professing Christians are dismissive of those sounding the alarm warning our families, churches, schools, and society are under attack. Christian friend, the time for political ambivalence is passed. If we do not awaken to the imminent threat of being silenced altogether, we will be relegated to the dismal heap of irrelevance. 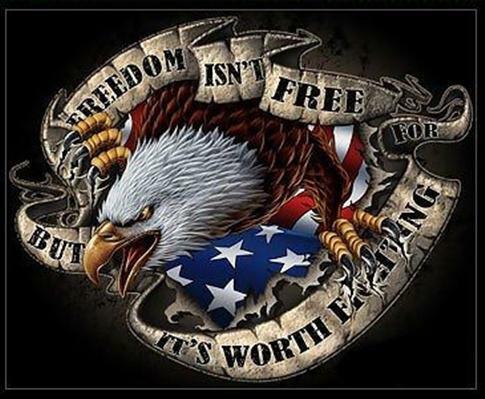 It is time for all who love American freedom to awaken out of sleep! We must become active citizens for the sake of our homes, churches, schools and our beloved nation. It is time for pastors to assail the ideology of liberal indoctrination. It is time for Bible believers to support pastors and churches that dare to be faithful to God’s Word and stand with them in private and public forums. Be forewarned; history will judge us harshly for failing to be stewards of liberty and defenders of biblical morality. To stay informed on issues that impact your life in Tampa Bay, subscribe to Mr. Terry Kemple’s “Community Issues Council” for Christian Citizenship in Action Tampa Bay.